Local EAA Chapter 983 and the Brazos River Ninety-Nines are sponsoring a fundraising project to provide monies to send Young Eagles to the Air Academy in Oshkosh, for museum programs, activities for school children, and other special events. Make your tax-deductible donation and receive a personalized engraved brick which will be permanently placed at Planeview Park at the flagpole memorial. 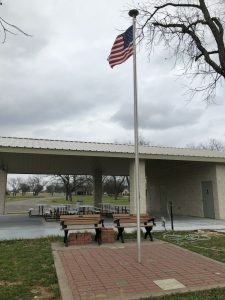 Visit Planeview Park to see the renovated pavilion and memorial. This is a wonderful opportunity to show your family’s support, honor a hero, remember a friend, advertise your business, or just because! 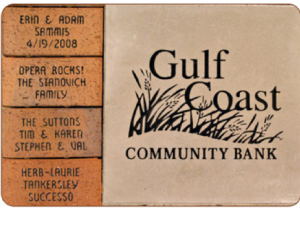 These are high quality, laser engraved, and epoxy filled commemorative paver bricks. We can also include many symbols or your corporate/organization logo. Logos have an additional fee. Please contact Konnie Sasser at 817-578-1979 (kcsasser@gmail.com) or Dave Moore at 682-936-3002 (flymoore@charter.net) if you need more information regarding the ordering of bricks. Also, you can visit www.giftbricks.com for full details about the bricks and lettering options.